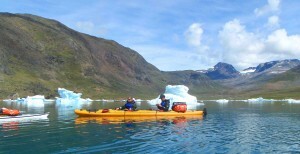 In this 12 day expedition we are going to use a very quiet means of transport: trekking shoes, kayak paddles and mountain bike pedals to shorten the distances between the fjords of southern Greenland… Bird’s eye view of the glaciers in the mountains of Mellem, partly submerged icebergs in the fjord coast of Sermilik and a bike tour through the farms of Eriksfjord… Not Ironman but Iceman! Flight from Keflavik (Iceland’s international airport) to Narsarsuaq. Reception at the airport by our English speaking guide and transfer to the harbor to cross the Eriksfjord in the direction of Qassiarsuk. Once settled in our hostel we are going to start the guided tour of the Viking ruins of Brattahlid (present day Qassiarsuk), learning the history of the arrival of Eric the Red from Iceland at this small settlement in 985. Of particular interest are the reconstructions of a viking house (spacious but cold) and an inuit dwelling (small but warmer), transporting us back in time to the harsh conditions in which these people lived and it definitely shows us how the Inuit knew how to adapt better to the progressive cooling of the climate. 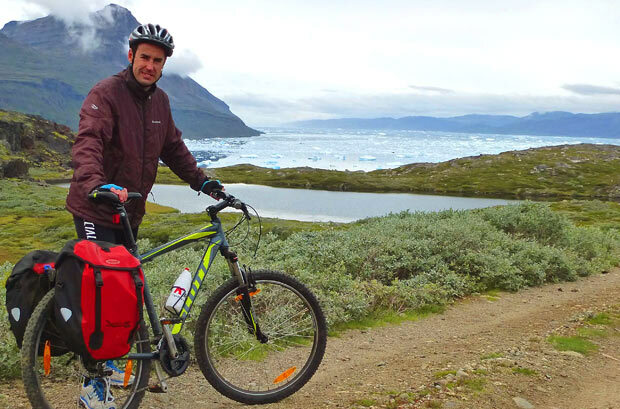 * The bike tour will be self-guided. 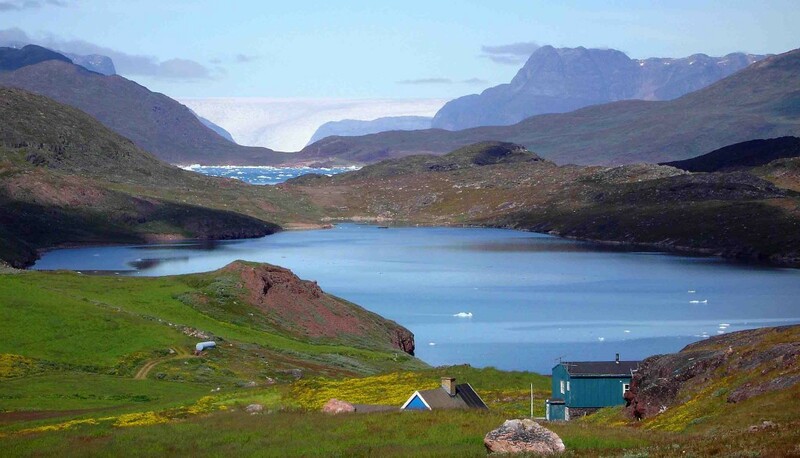 Tasermiut will provide the necessary logistics and communication system needed to keep the group in touch with our base in Qassiarsuk. 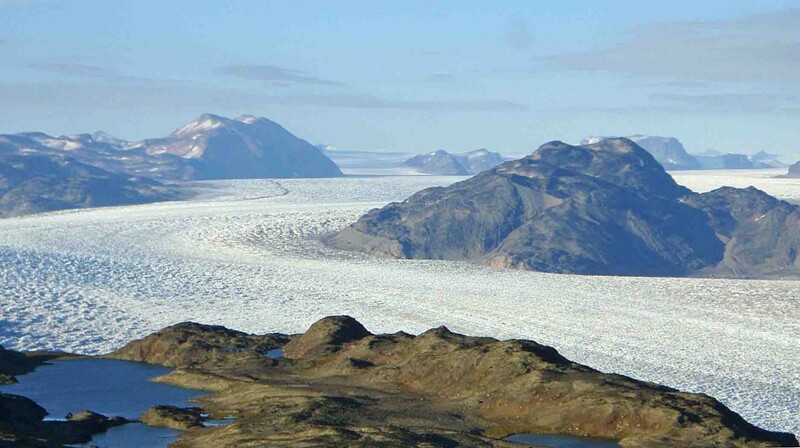 From this height today we have easy access through an area of lakes to the Qooroq balcony, where one of the most impressive panoramic sights of the southern Greenland glacier of Qooroq is waiting for us: expelling over 200,000 tons ice a day, it is one of the most active in Greenland. Night in tents next to the cabin at Mellem. 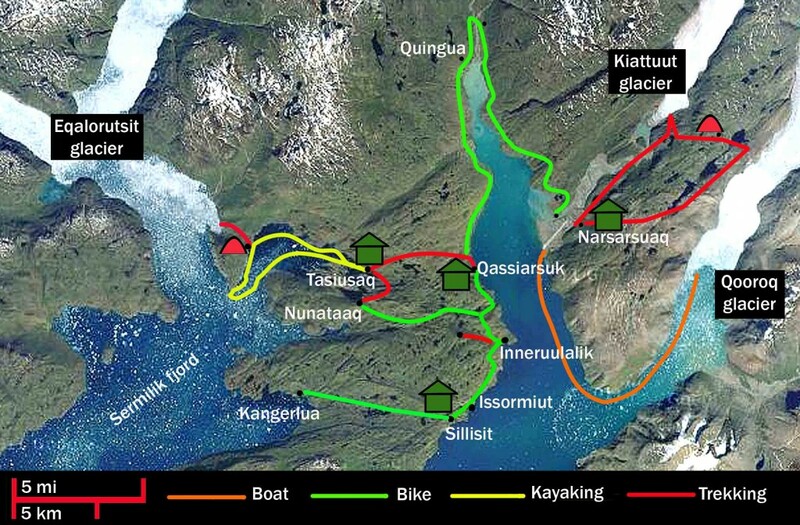 We will carry on with the hike surrounded by hills and lakes, until we get to a balcony where Narsarsuaq can be seen. And go down to it. Day 12. Flight Narsarsuaq – Keflavik. 27th August – 07th September. It is a expedition that is quite athletic for which a good physical fitness is required, or at least have a habit of countryside hiking and mountain cycling. 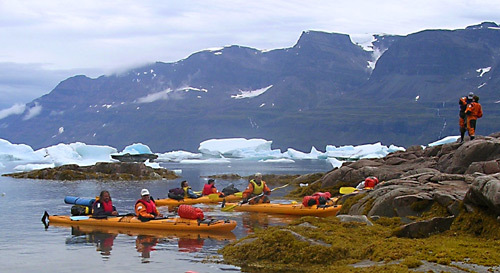 Technically, however, it is not a difficult journey regarding mountain biking (on tracks at an easy pace) and kayaking: we will be sailing in an area of calm water and due to the stability of our double kayaks, previous experience in kayaking is not required (although is recommended).